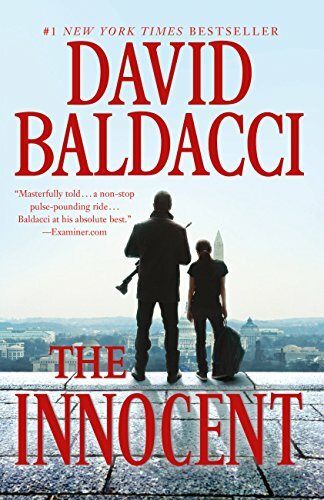 The Innocent (Will Robie Book 1). America's best hitman was hired to kill--but when a D.C. government operation goes horribly wrong, he must rescue a teenage runaway and investigate her parents' murders in this #1 New York Times bestselling thriller. It begins with a hit gone wrong. Robie is dispatched to eliminate a target unusually close to home in Washington, D.C. But something about this mission doesn't seem right to Robie, and he does the unthinkable. He refuses to pull the trigger. Now, Robie becomes a target himself and is on the run. Fleeing the scene, Robie crosses paths with a wayward teenage girl, a fourteen-year-old runaway from a foster home. But she isn't an ordinary runaway--her parents were murdered, and her own life is in danger. Against all of his professional habits, Robie rescues her and finds he can't walk away. He needs to help her. Even worse, the more Robie learns about the girl, the more he's convinced she is at the center of a vast cover-up, one that may explain her parents' deaths and stretch to unimaginable levels of power. Now, Robie may have to step out of the shadows in order to save this girl's life...and perhaps his own.